The weather is getting cold, but the frog population in New York is on the rise, thanks to a magical mafia that has a unique method for getting their enemies out of the way. When wizard Owen Palmer at Magic, Spells, and Illusions, Inc., gets a cryptic threat that the secretive organization called the Collegium is gunning for them, Katie Chandler puts their wedding on hold and goes undercover as a compromised magical immune to infiltrate the enemy. It’s not easy pretending to work for a psycho who not only wants to take over MSI but also pull a coup in his own organization. It’s even more difficult having to pretend to cut all ties with MSI. But with prominent magical citizens disappearing and anyone who crosses the magical mafioso landing on a lily pad, Katie knows she doesn’t have a choice. It becomes personal when her friends become targets. It becomes an urgent crusade when Owen disappears. 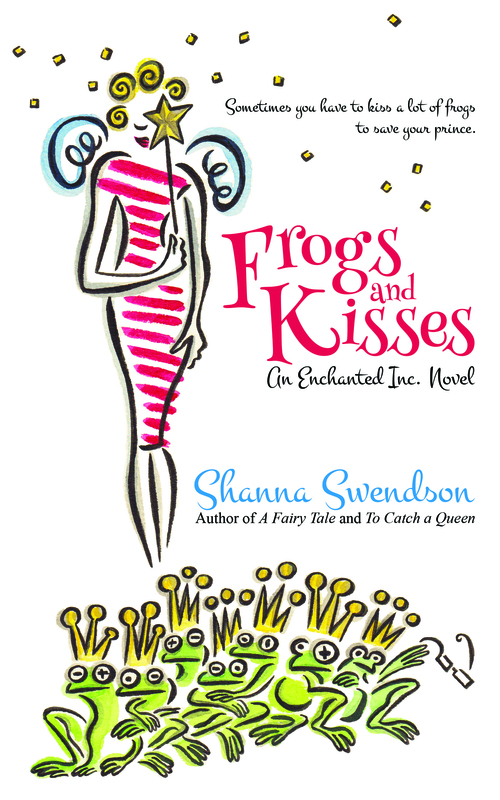 When the final showdown comes, Katie’s going to have to kiss a lot of frogs to have the allies she needs to save MSI – and if she ever wants to see her fiancé again.